Huygens was born on April 14, 1629, in The Hague, Holland (the Netherlands), to a prominent, wealthy family. At an early age he exhibited a talent for mathematics and art, impressing his father’s scientist friends with his geometrical drawings. His father was a friend of the French philosopher­ scientist RENÉ DESCARTES, who established the dominance of mechanistic explanations in post ­seventeenth­century science. Huygens’s exposure to Descartes’s ideas influenced his later scientific methodology. He studied law and mathematics at the University of Leiden and the College of Breda in Holland. In 1655 Huygens discovered Titan, Saturn’s largest satellite, by utilizing a telescope equipped with homemade, sharply defining lenses. Observing the tings of Saturn in 1659, he was the first to describe them accurately. In 1656, motivated by the need for precise time measurements associated with astronomical observations, he followed GALILEO’s suggestion and constructed the first pendulum ­regulated clock. It was an immediate success; its accuracy was better than that of any other clock available at that time. Huygens himself improved on it later by inventing a balance spring regulator that made pocket watches possible. Huygens’s publications in astronomy and mathematics earned him wide recognition. At the invitation of King Louis XIV, who asked him to supervise current French scientific research, he moved to France in 1666. There he became friendly with noted scientists BLAISE PASCAL and GOTTFRIED WILHELM LEIBNIZ and helped found the French Academy of Sciences. In 1669 Huygens published a ground­breaking paper on the dynamics of colliding elastic bodies. Four years later, his influential work Horologium Oscillatorium appeared. It encompassed theories and derivations concerning the mathematics of curvatures, pendulums, dynamics, and centripetal force (a force that seeks a central point, causing objects to travel in a circle). 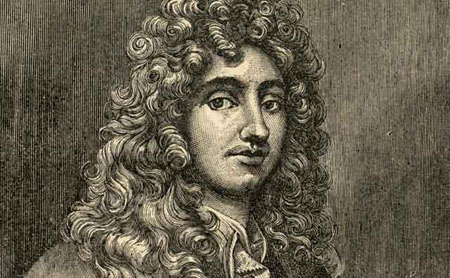 Huygens visited The Hague in 1681, and the conflict between Holland and France prevented him from ever returning to France. In 1689 he traveled to London, where he met ISAAC NEWTON and presented to the Royal Society his own (incorrect) theory of gravitation. His Treatise on Light was published in 1690 (although he had written it in 1673); it introduced the principle that light is an advancing wave and that every point on this wave front is a source of secondary spherical wavelets. His wave theory successfully explained most light phenomena in terms of wavelength and frequency. He also spent years constructing lenses of focal length as long as 210 feet to improve telescopes available at the time. Huygens died on July 8, 1695, in The Hague, after years of chronic illness. Huygens is sometimes considered, after Newton, to be the most influential physical scientist of the late seventeenth century. Many of Huygens’s mathematical proofs, representing solutions to longstanding problems, advanced several areas of physics. Dynamics, the study of collisions, was essentially established by his seminal formulations on colliding bodies, and his work on the physics of centripetal force provided a basis for subsequent research on rotating bodies. His derivations regarding the physics of pendulums contributed to Newton’s development of the theory of gravity. Huygens’s wave theory of light was perhaps his most significant achievement. It provided the best ­known explanation for the laws of reflection and refraction of light, and it allowed him to predict, correctly, that light travels more slowly through denser media. He differed with Newton, who advocated a particle theory of light, and it was only in the twentieth century that the two theories were reconciled by the understanding that they are both correct but applicable to different experimental situations. Huygens also introduced new methods of grinding and polishing telescope lenses and invented a telescope eyepiece that bears his name. Such technical improvements contributed to the progress of astronomy in following generations.